Have you ever had these moments and panicked? …been invited to a potluck and you had nothing prepared. Yes. We’ve been there…especially around the hectic holiday season. This recipe is a lifesaver. Why We Like This Method? Big time-saver! Cut short half the cooking time compare to using only the oven. First, pour 1 cup (250ml) of cold water into the pressure cooker. Then, place a steamer basket in the pressure cooker. Add the chicken wings and drumettes in the steamer basket. While the pressure cooker is naturally releasing pressure, dial airfryer to 400°F and set the timer to 10 minutes. While the pressure cooker is naturally releasing pressure, preheat the oven to 450°F. Remove the chicken wings and drumettes from the pressure cooker. Pat them really dry with paper towels. 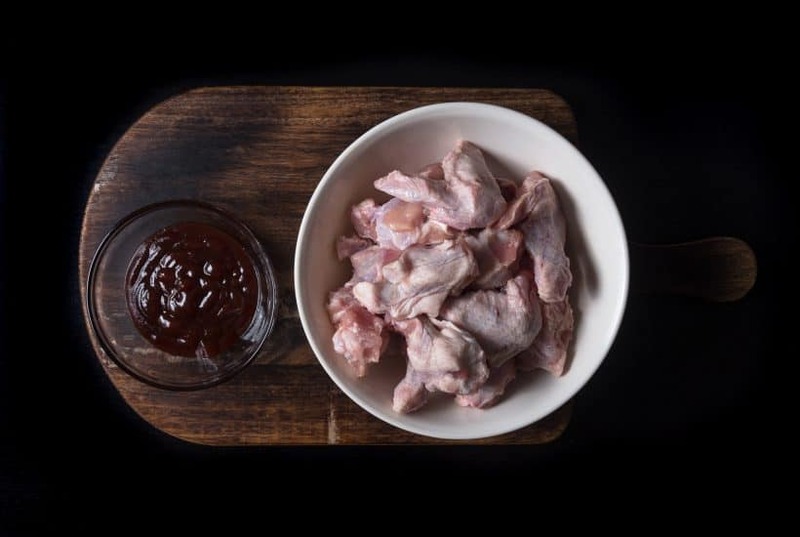 In a large mixing bowl, toss wings and drumettes with ½ cup (125ml) of BBQ sauce. Add the chicken wings and drumettes into the airfryer basket. Airfry until sauce is glossy and caramelized, about 5–10 minutes. *Note: After 2 – 3 minutes, take out the airfryer basket and give it a toss to make sure the chicken wings brown evenly. Place the chicken wings and drumettes in a single layer on a wire rack in a baking tray. Bake until the sauce is glossy and caramelized, for about 8–15 minutes. Pressure Cook the Chicken Wings: Pour 1 cup (250ml) of cold water into the pressure cooker. Place a steamer basket in the pressure cooker and add the wings and drumettes on top of the steamer basket. Close lid and pressure cook at High Pressure for 5 minutes + Full Natural Release. Open the lid carefully. 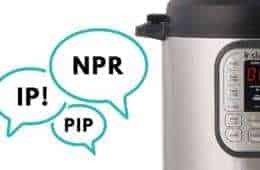 Preheat Airfryer: While the pressure cooker is naturally releasing pressure, dial airfryer to 400°F and set the timer to 10 minutes. If you're using an oven: While the pressure cooker is naturally releasing pressure, preheat the oven to 450°F. 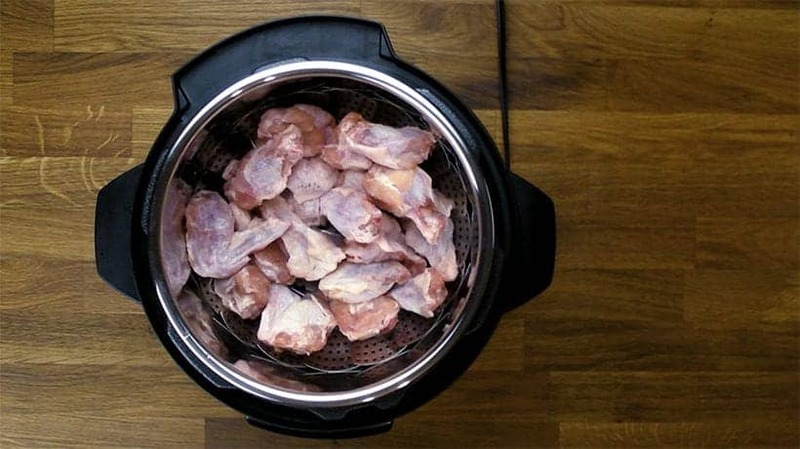 Pat Dry the Chicken Wings: Remove wings and drumettes from the pressure cooker. Pat them really dry with paper towels. 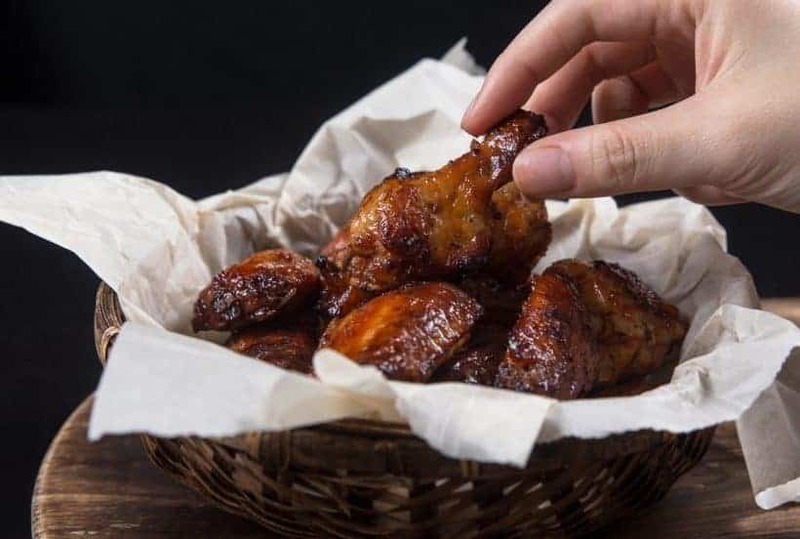 Apply Sauce and Place in the Airfryer: In a large mixing bowl, toss wings and drumettes with ½ cup (125ml) of BBQ sauce. Add the wings and drumettes into the airfryer basket. Airfry until sauce is glossy and caramelized, about 5–10 minutes. After 2 - 3 minutes, take out the airfryer basket and give it a toss to make sure the chicken wings brown evenly. If you're using an oven: Place the chicken wings and drumettes in a single layer on a wire rack in a baking tray. Bake until the sauce is glossy and caramelized, for about 8–15 minutes. If I have boneless, skinless wings can I use the same recipe? Thank you for your question. I recommend reducing the cooking time by a minute. Amazingly delicious and easy! Thank you for sharing your gifts. Can this recipe be doubled? Making wings for a bigger party. 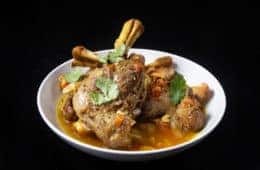 I would like to make about 8 to 10 chicken legs with this recipe, how long should I cook it for? It will take 8 minutes and 10 minutes natural release. I tried these tonight and they came out perfect. I followed your directions to a “t”. Thank you for this recipe!! Just tried this recipe and it worked perfectly. 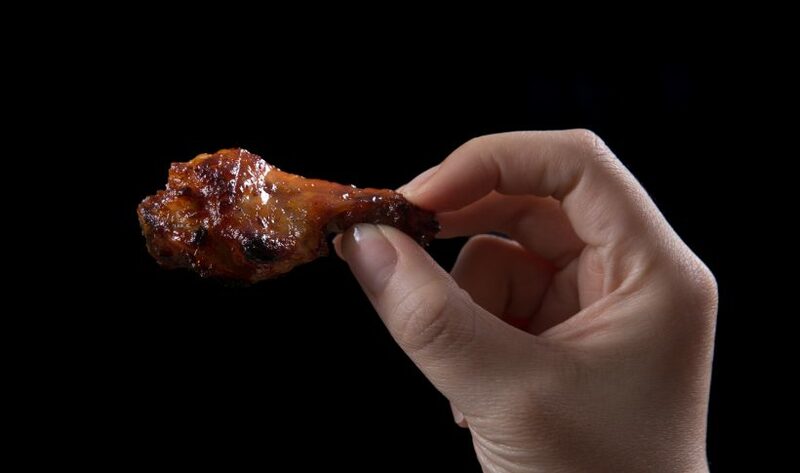 Now we can have wings that aren’t fried but are still yummy. Hello! I would like to make this for a larger party (~10 people). How can I adjust the recipe and cooking time? Also, if I use the oven, should I use the baking or broiling feature for this recipe? I would recommend reducing the cooking time by a minute as making more will increase the get up to pressure time. I would recommend using the broiling feature. You will want to stand beside it as it can go from caramelized to burnt in a short time. Hi I am a newbie and have a pressure cooker of a different brand. If I don’t have any kind of insert can I just put them in the pan? Also if you use frozen do I need to adjust the time? It will be better to use a trivet as the flavor can leech into the water if it is cooked directly in water. The cooking time will need adjustment. Maybe 4 more minutes on a trivet. I cooked for a little extra time, 6 minutes in my Instant Pot and the bottom wings came out completely raw. 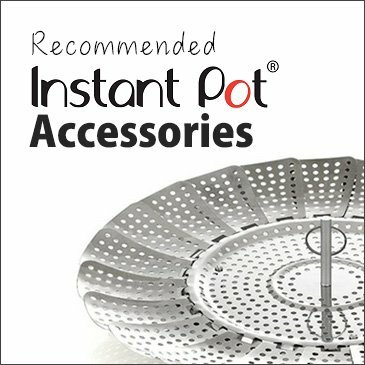 I don’t have a steaming basket, so I used a ceramic pot which I often use inside my Instant Pot. I suspect the steam was unable to penetrate the bottom layer of wings. I put the wings back in for another 8 minutes and am hopeful they will be cooked through this time. This fast dinner recipe turned out to be not so fast. I know the Sweet Baby Ray’s will be delicious on the wings. Salivating while I wait…. you can also use the trivet that came with the Instant Pot for this recipe. if i was going to fry these in coconut oil after the pressure cook to get crispy, how long would you suggest. If you are doing deep frying, I would recommend skipping the pressure cooking step and cook the wings in the deep fryer. I did a nice Hawaiian bbq wing dinner by following your instructions. Paired it with some steamed asparagus. Thank you very much for posting. Eager to try more. I love your recipes if I’m looking for new recipies I always double check your site To make sure recipie will turn out (your cooking times are spot on) I saw your recipies for wings you have 3 and I want to know if I could adapt the recipie to cook on the trivet instead of in the liquid for the cola wings and ginger wings. And finish off in oven. To reply to the person who doesn’t have a rack for their cooker, I have improvised with a rolled up “rope” of tin foil in the bottom to keep the meat out of the liquid. I used this method for ribs, so it was easy to construct, and it worked great. Thanks for your genius idea! I don’t have a trivet or steamer so I was trying to figure out how’s to use foil. Will try this tonight. I don’t have an air fryer but was wondering if a convection oven, which has a fan that comes in while foods are cooking, would do the same as air fryer. Oven will work. Use the broiler and place the chicken wings on the top tray. Cooked this tonight with frozen thighs and drumsticks. Broiled in the oven for 5 minutes on each side. Turned out perfect!! Thank you!! Patted dry with paper towels,,,15mins in 400 oven, skin still soft and and not dry and crispy. Went to broil for 5 and still. How to get the skin to not be soft and more crisp? You will want to use the hottest setting in your oven and place them on the top tray. Before putting in the fryer/oven are these wings cooked through? I’d like to do this but then finish on the BBQ quickly over some flame but want to be sure its actually cooked through. probably only 5 minutes on the flame. There is wayyyyy too much clutter on this webpage with the thousands of ads. Unreadable. Looks amazing! Are you using the “canning” selection for high pressure? I would like to try these wings but am not sure which selection to make for high pressure. Thanks in advance! We used the pressure cook or manual button for this recipe. Hi you two–thanks for all of the time and effort you put into this site and Facebook! This recipe looks great. I’d like to try it with bone-in, skin-on thighs. I’ve tried looking around, but I can’t see anything about how long to cook them. More or less than wings/drummies? Bone-in skin on thighs will take 6 minutes + Natural release. How long is “full natural release”? Last time a recipe said that my ribs were way overcooked because I kept waiting for the button to go down and it never did. I finally released after 20 min and it was way too long. For recipes with roughly 1 cup of liquid, it will take 10 minutes. If the button doesn’t go down in 12 minutes, you can safely turn the venting knob to the venting position to release the remaining pressure. What is airfrying in the pressure cooker? Pressure cooker cannot air fry. 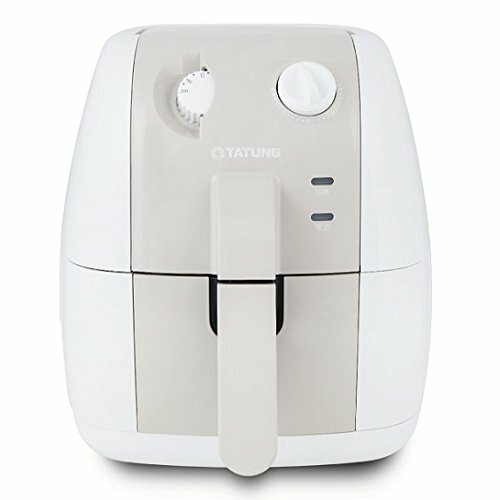 Airfrying will require a separate air fryer. 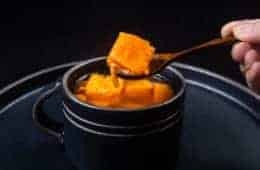 I have been wasting time looking for easy one pot recipes to take on a cross country camping trip and all I find are long colorful stories with a recipe way at the bottom of a page. I consider a ‘one pot meal’ putting the entire meal in the pot too cook. Taking one course and removing to put in an air fryer or pan in the over is a two pot course of a meal. Perhaps this should be listed under a different category to help out those of us pressed for time? This chicken wings recipe is not under our one pot meal category. Here is our one pot meal category. Thanks for getting back to me. I always appreciate it. You guys are always so helpful! You are welcome Em :)! Looks like there was some prep ahead of time as the wings were thawed. Last minute to me is pulling them out of the freezer and then placing them in the Instant Pot. As long as you separate them, the frozen ones would still take the same 5 minute cooking time? That would truly make them last minute. Yes, as long as you separate them, it will take 5 minutes + Full Natural Release. Have you ever used this method to precook the chicken wings for grilling? We haven’t, but in theory it will also work! I saw a comment about drying the InstaPot wings before dipping in the butter/chili sauce. 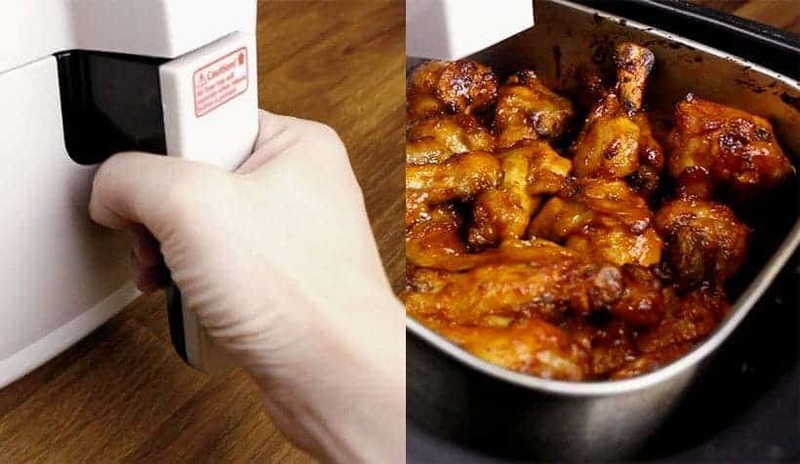 This may help the sauce to stick better on the wings. Yes, do pat the wings dry. Any suggestions? Do You think it was over cooked? It sounds like the wings were cooked too much. Make sure to use a trivet so the wings are not touching the water! Can you use chicken breasts instead of the wings? followed the recipe but my wings come out kind of rubbery? would you have a recommendation as to what be going wrong. I’m doing the oven option as I, unfortunately, do not have an air fryer. Was the meat dried out? If the wings are rubbery, it means there are still moisture in the skin. Pat dry the wings with paper towel and make sure the oven is hot enough. Place the wings on top rack to crisp up the skin while not overcooking the wings too much. what if i don’t have a basket for my pressure cooker what do i do then? for this recipe, you will need to find a way to separate the chicken wings from the water. 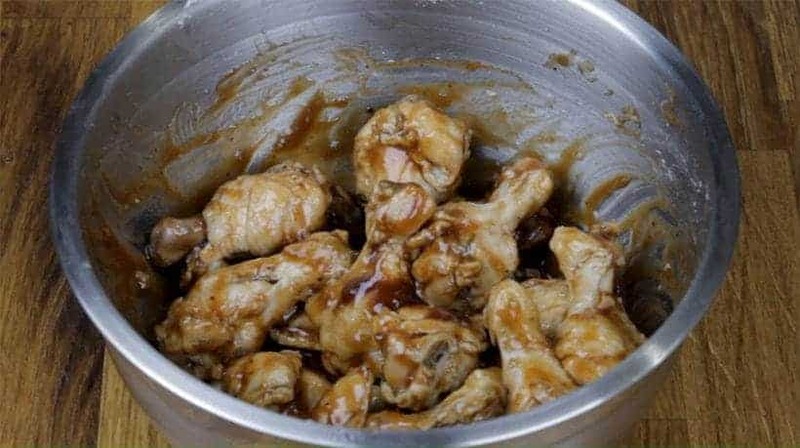 You can place the chicken wings in a stainless steel bowl, but you will mostly have to experiment and increase the cooking time. I would highly recommend getting a steamer basket. Perhaps you can take a look at this page for ideas. Used this recipe last night. Next time, I will leave the time at 5 minutes despite the quantity difference. thank you for sharing your result. Yes, you usually don’t have to change the pressure cooking time for larger/smaller quantity in the pressure cooker. Thank you for sharing this recipe. I’ve made it a lot of times already, thawed and frozen. Will a pressure cooker automatically change the duration of time etc if I use frozen wings instead of thawed? thank you for your question. 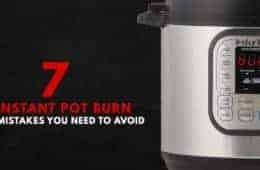 A pressure cooker will not automatically change the duration of time. However, frozen meat will take longer to go up to pressure. So for this recipe, the pressure cooking time can remain the same as long as the wings are not stuck together as a giant frozen cube. If you use frozen wings how much extra time do you need to add? If the frozen wings are separated and not stuck together, no extra time need to be added. Thanks for the recipe. I’m assuming that frozen wings will work just as well? 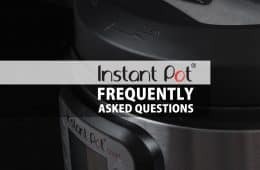 I have an Instant Pot which allows me to saute. I wonder if I would get the same results if instead of using the actifrier I were to saute the wings in step 4. The result will be slightly different with the saute function. An oven will work a lot better. Looks so good! 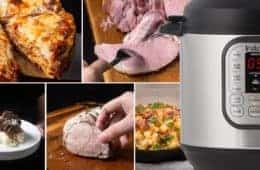 Until I further investigate the world of air fryers, I’m wondering if I could do the pressure cooker portion earlier in the day and then at a later point reheat and glaze in the oven? I haven’t done it, but I think it will work okay. Some of the juice in the chicken wings will evaporated so they will not be as juicy inside!